Kiichi was born in Kyoto in the 37th year of the Meiji era (1904). He graduated from the Kyoto Kaiga Senmon Gakko (Kyoto Prefectual School of Painting). He studied Japanese-style painting under Tsuji Kako, Nishimura Goun and Yamaguchi Kayo. In 1963, Kiichi won the special prize at the Nitten Exhibition with the piece of work named "Bull". 4 years later, he won the special prize again. He was a member and adjudicator of the Nitten. He is well-known as a past master at painting carp. He deceased in the 55th year of the Showa era (1980) at the age of 77. There are some rucks and folds on the mounting. 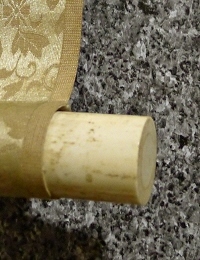 There are quite a few faint spots on the drawing part, however, those are not so noticeable. 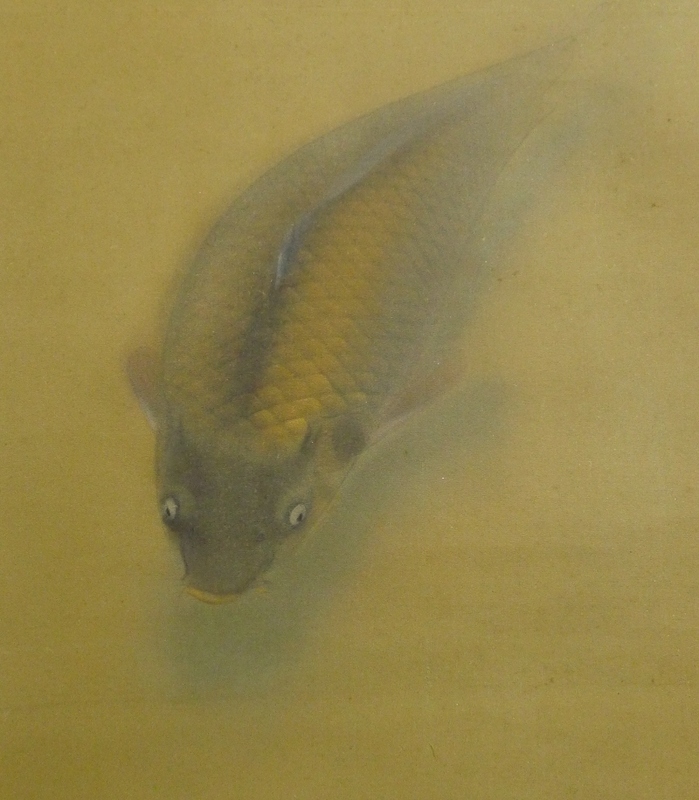 Although, a Japanese swimming carp (Koi fish) is painted artistically.